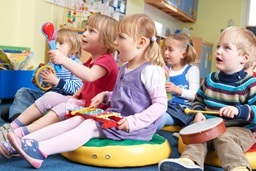 Music engagement is an excellent way to encourage brain development in children. Music has the ability to activate many different areas of the brain at once, such as areas associated with language, memory, hearing, and areas used to process sensory information. 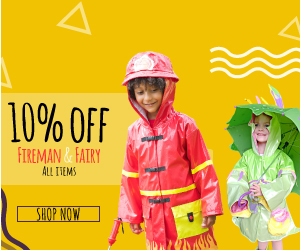 Additionally, music is also adored by children all over the globe, therefore making it an excellent way to do educational activities in a fun and motivating way. Not only is music engagement useful for encouraging the development of musical abilities, the effects of music engagement can be seen in other academic areas as well. Registering children for a music class, and/or incorporating music education into children’s school programs (including early-child-hood programs), may have long-lasting positive effects that will help students excel in school and consequently, in their futures. One study conducted by C. Gaser, Ph.D and, G. Schlaug M.D. Ph.D. found differences in gray matter between musicians and non-musicians. Professional musicians were compared to amateur musicians and non-musicians and were found to have more gray matter in the auditory, motor, and visual-spatial areas of the brain. The strengthening of certain areas of the brain through repeated use will lead to more gray matter. It’s important to remember that engagement with music is the key to encouraging brain development. Simply signing a child up for a music-listening course won’t have the same effects on the brain as if the child is an active participant in the music-making process. For example, a study from Northwestern University found better neural processing abilities in students who played an instrument compared to students who only listened to music. Children may also experience increases in overall IQ as a result of taking music lessons. A study found that children who took music lessons had greater increases in their IQ than children who didn’t take music lessons. The results showed improvements in IQ subtests, index scores, and a standardized measure of academic achievement. Perhaps unsurprisingly, musical training results in increases of musical abilities in children. 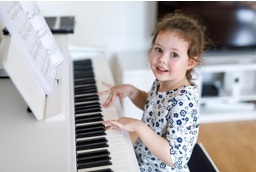 While some parents believe that excelling at music is only possible when a child has an innate “talent” or genetic ability, children of all types can benefit from learning music. When children are trained musically, they develop increased awareness of pitch. One study found that after two years, children with musical training were able to better distinguish between changes in pitch than children in a non-music training group. 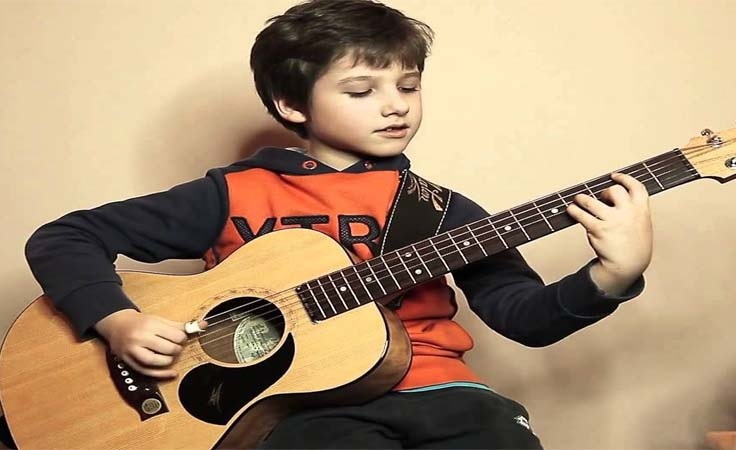 Children who receive musical training will, therefore, develop the cognitive ability to pay closer attention to the components of different melodies. This increased awareness will allow children to better appreciate this art form on an intellectual level. Children’s reading abilities may also improve as a result of musical training. Reading is one of the most important skills a child needs to develop in order to excel in all areas of life. Even mathematic subjects require good reading comprehension skills in order to complete problem-solving questions. A study conducted at Northwestern University found that children who attended music classes regularly, and most importantly, actively participated in those classes, had better speech processing abilities in addition to higher reading scores than children not involved in music class. Music can also be used to teach basic scientific principles. The physics of sound are very relevant to children who play instruments. Music lessons can be a great way to discuss the science of sound waves, sympathetic, and harmonic vibrations. Playing an instrument is also a very physical activity. Drums, for example, involve a lot of large-scale movements and incorporate both the arms and legs. Children who play percussive instruments, such as drums, will have the opportunity to learn about the muscles in the arms and legs and how they become stronger the more they are used. Other instruments, such as guitar, involve smaller-scale movements. 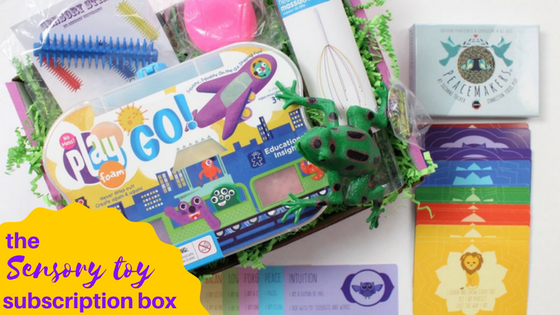 These instruments are an excellent way to teach children about the anatomy of the hand. It’s no surprise that music is one of the highest forms of human expression. Music has served as a tool for human expression and connection throughout history, and it still serves this important purpose in today’s society. Listening to sad music is believed to be connected to the hormone prolactin, which is correlated with curbing grief. This is why music, despite it’s sometimes sad content, makes us feel better. 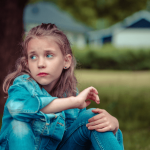 In a time when division can often be taught to children through various media outlets, it’s important to encourage connectivity and awareness of the problems experienced by other people. Young generations can undoubtedly increase positive brain development by continuously practicing empathy. The more a child practices a certain skill, including empathy, the more easily they will be able to utilize that skill in their daily lives. Related Article: Research Says We Can Help Kids of All Ages Develop Empathy-Find Out How! I hope you found this article on how music contributes to positive brain development in children helpful. Music is a universal art form that can encourage positive brain development in children. Music engagement activates many different areas of the brain and therefore has countless positive effects on child development. Children can increase gray matter in the auditory, motor, and visual-spatial areas of their brain by pursuing music. 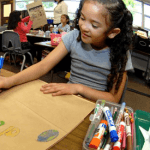 Additionally, children can also improve their speech processing and reading comprehension abilities through musical engagement, which will improve performance in all areas of life. 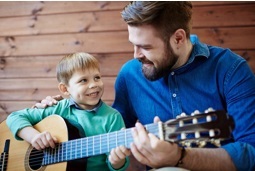 If you’re interested in signing a child up for guitar lessons to encourage positive brain development, take a look at this article for more information on how to play guitar with small hands. 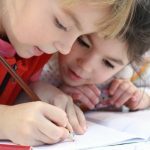 This article was reviewed and edited by CEO and founder of educationandbehavior.com, Rachel Wise. Rachel is an avid writer/blogger, licensed behavior specialist, and certified school psychologist with a Masters Degree in Education. 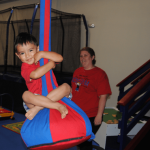 She has over 19 years of experience working with individuals with academic and behavioral needs. You can contact Rachel directly at rachelwise@educationandbehavior.com.